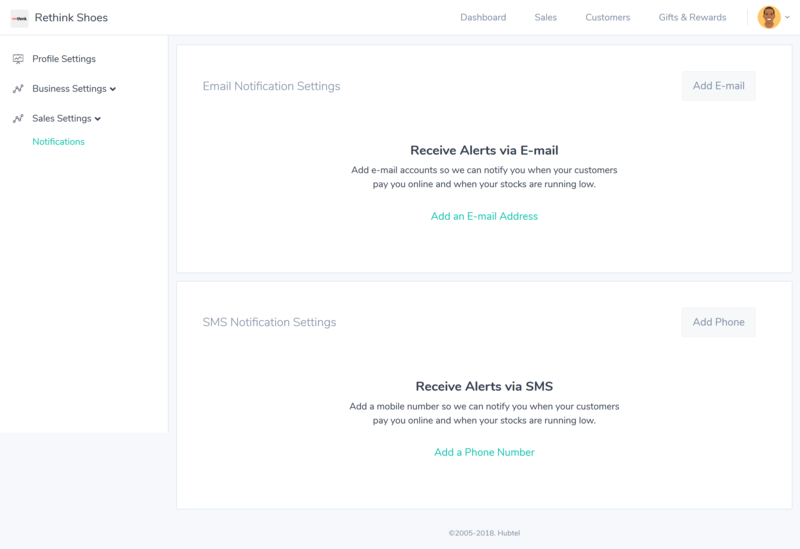 Learn how to setup alerts to receive low stock or online sales notifications. When your customers pay your online (web store or mobile), you have to act fast in order to fulfill the order or purchase on time. Sometimes, even in store, when customers pay you via your Hubtel POS code, you need assurance of the payment from Hubtel. 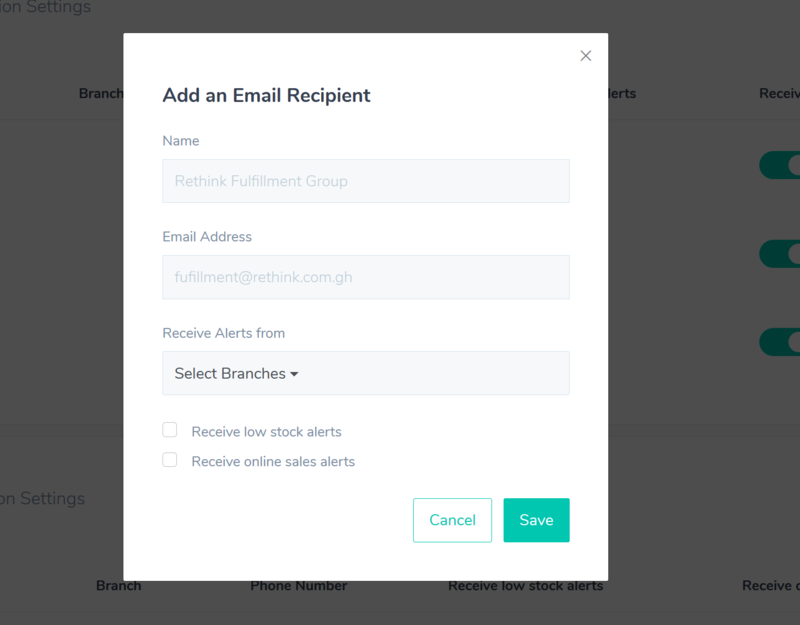 Here, you can setup at least one email address and phone number so that notifications can be sent to the right people in your business. Login to your business account and click on the profile icon. 2. Click on Sales Settings from the left navigation menu. 3. Click on Add Email or Add Phone button based on the medium you wish to receive the notifications. You can add as many emails but only one phone number. 4. 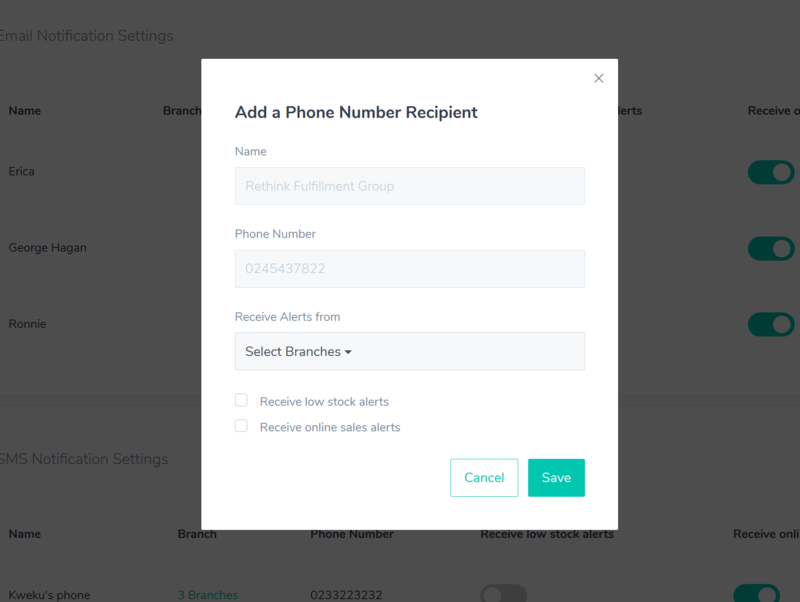 Select the branch associated with the email or phone number provided. 5. Enter the details and check Receive online sales alert box. 6. Click Save to complete setup. Enter the details and check Receive low stock alert box. 3. Click Save to complete setup.